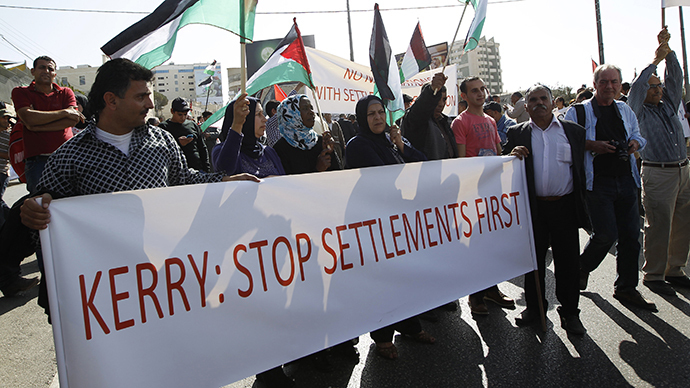 Hundreds gathered in Israel on Saturday to rally against the government’s plans to resettle some 40,000 Bedouins. The proposal has triggered accusations of “discrimination” and “ethnic cleansing” from activist groups, also sparking a protest in the UK. The demonstrations were organized as part of an international “Day of Rage” against the proposed law which would arrange for Bedouin settlements to be created in southern Israel’s Negev Desert, also known as the Prawer-Begin plan. 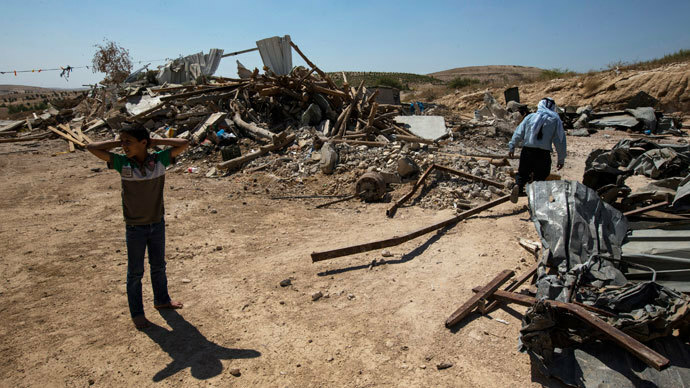 The Prawer Plan would see up to 40,000 (according to local media) and up to 70,000 (according to the Guardian) Bedouin removed from their homes in Negev, southern Israel. 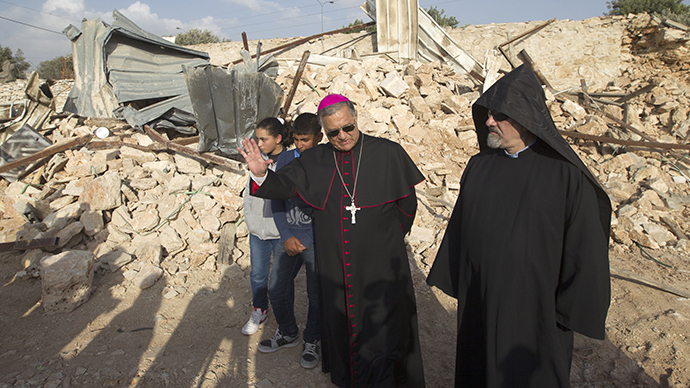 The plan also provided for the demolition of about 40 villages and confiscation of 70,000 hectares of land. On Saturday, the international “Day of Rage” which was proclaimed by rights groups prompted protests across Israel, in both Gaza City and in East Jerusalem, in addition to the UK. 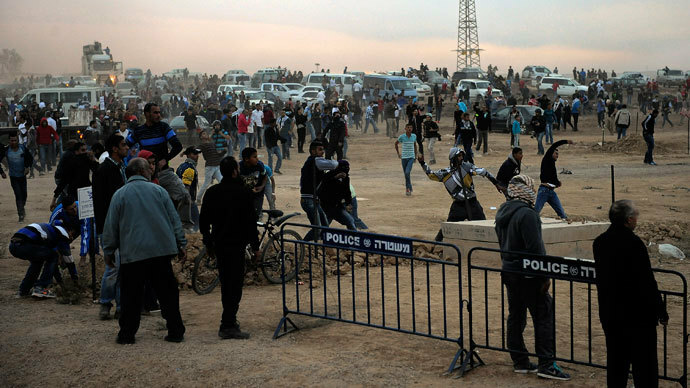 In the Negev village of Houra, clashes broke out at the main demonstration where about 1,200 protesters had gathered. The action started out peacefully with people chanting against “fascism”, Haaretz reports. But eventually some protesters started throwing stones at police. The Israeli police responded with tear gas, stun grenades and water cannon. Eleven protesters got detained, with ten police injured and a number of police vehicles damaged by stones. The draft legislation was adopted by the country’s parliament, the Knesset, at its first reading in June, but still has two more readings in the Knesset before it becomes law. There were also protests across the UK as Britons took to the streets to voice their anger at Israeli plans, while 50 high-profile British artists, writers, and musicians added their signatures to an open letter to the Israeli government denouncing the proposal. The group published a letter in the Guardian on November 29 condemning the plan and urging the UK government to act. The letter contains the signatures of 50 public figures supporting the cause. The document calls for immediate action from the British government, urging harsh measures rather than the usual diplomatic rhetoric. “There can be no ‘business as usual’ with a state which is preparing to ethnically cleanse 70,000 people. It’s time to start challenging Israel’s racism and apartheid policies,” the activist group wrote in the letter. In support of the letter mass protests have been planned across the United Kingdom on Saturday. The “Day of Rage” demonstrations will be held in Brighton, Bristol, Cardiff, Lambeth, as well as a number of locations in central London. In addition, Palestinians in Israel are staging mass demonstrations against the Prawer Plan to draw international attention. Despite opposition to the plan, the Israeli government is pushing ahead and is expected to vote on the initiative before the end of the year. Some Israeli media has also condemned the plan on the basis that the Bedouins are Israel citizens who were granted citizenship in the 1950s. “The plan [is] to regularize Bedouin settlement in the Negev’, but it does nothing to solve problems and regularize our settlements – it stipulates only destruction,” said Fadi El-Obra, a 29-year-old from Rahat, speaking against the Prawer Plan to the International Solidarity Movement. The UN Secretary Ban Ki-moon issued a statement on the International Day of Solidarity with the Palestinian People calling for Israel to call off plans to expand building in the settlements. Israel and the Palestinian Authority agreed to restart peace talks this summer after a three-year diplomatic stalemate. In spite of the revival of negotiations, very little headway has been made on some of the most pressing issues obstructing a peace agreement. Israel “will not be subjected to any restrictions concerning settlement,” Netanyahu recently vowed at a meeting with the Israeli right-wing Likud bloc, stressing that the Palestinians are well aware of that.